Blueberries can be a refreshing, nutrient-rich snack, but they aren't ideal in all cases. In some situations - such as hiking, where refrigerators aren't accessible - you may find that dried blueberries are more appropriate. 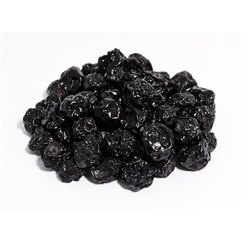 Dried blueberries are more calorie-dense than blueberries, as the removal of water makes them smaller. Depending on your nutritional needs and goals, this can be beneficial or detrimental.